D8059 was new on 12th May 1961 from Robert Stephenson & Hawthorn Ltd,, Darlington, and was allocated to Sheffield Darnall, later to Tinsley. Renumbered to 20059 in January 1973, and later 20302 in 1986-87, withdrawn in May 1993. Preserved by the Somerset & Dorset Locomotive Company, initially located at Yeovil, later at Tyseley, to the Severn Valley Railway in 2009. D8188 was new on 21st January 1967 from English Electric Vulcan Foundry, Newton-le-Willows, allocated to Nottingham Division (Toton). Renumbered to 20188 in January 1973, and withdrawn in January 1990, similarly now preserved by the Somerset & Dorset Locomotive Company. 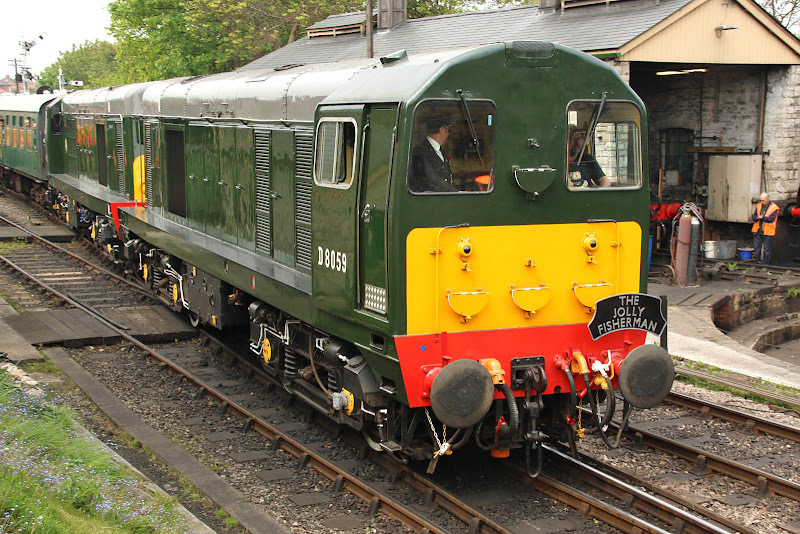 In the mid 2000's the locomotive was at the Swanage Railway, but departed to the Severn Valley to support the embankment repair activities following storm damage. Like 26043, I first saw this locomotive at Glasgow Works on 4th October 1980, in which month it completed a classified repair, followed by one further in March 1985 at the same location. The rumour network suggests that this pair may shortly be moving from the SVR base to a new location or locations. 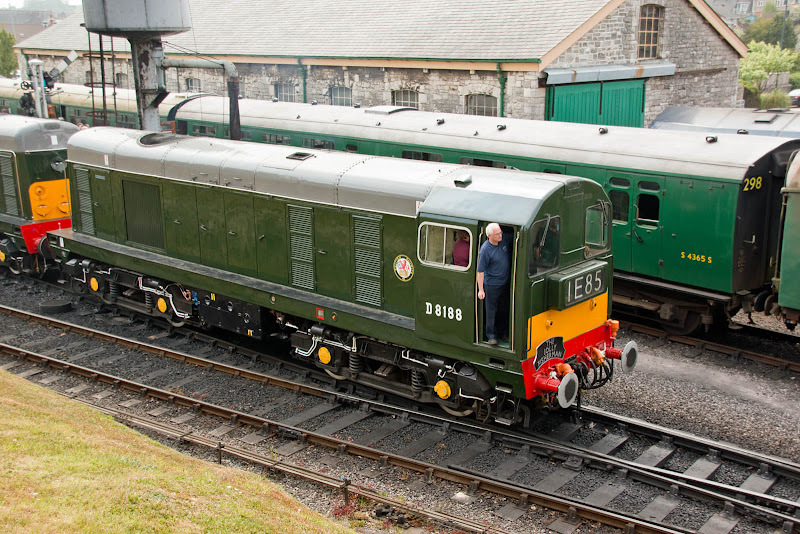 D8188 leads from Swanage with 10:45 to Norden. 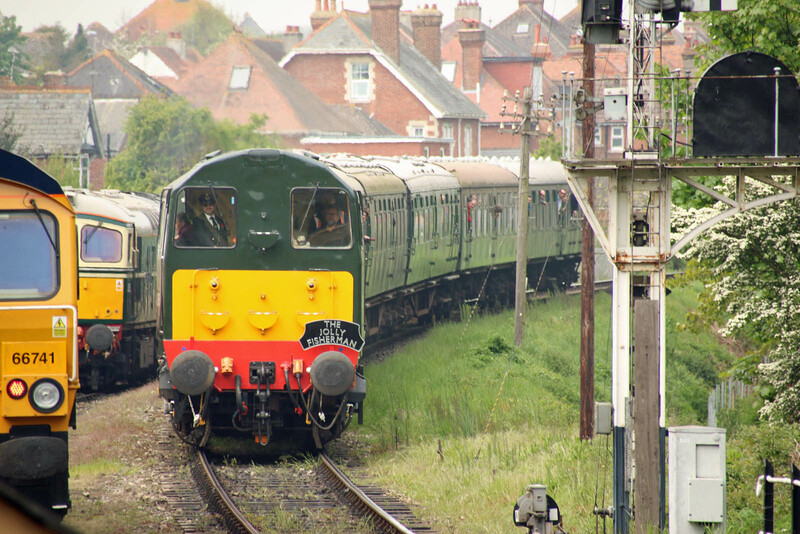 (Above and below) D8059 returning into Swanage with 11:50 from Norden. 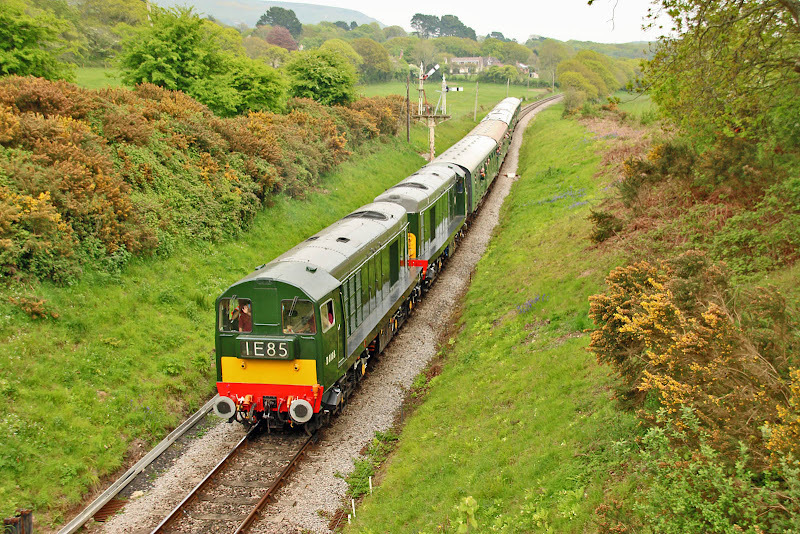 Approaching Harman's Cross with 14:16 from Swanage.